Though his mother named him after a priest, there’s nothing saintly about McGauran O’Dowd. He needs to escape the slums before he’s forced into marrying his friend’s sister and revealing the sin he’s managed to hide so far. When McGauran gets hired as a logger by ruthless business man Gédéon Latendresse, people warn him –the Latendresse family is cursed. Twenty years ago, Gédéon rode the witchin’ canoe from the camps to the city to stop his brother’s wedding. But that night, Gédéon broke one of the Chasse Galerie rules, and now the Devil’s come for his due. And that due, McGauran soon finds out, is Gédéon’s sheltered young nephew Honoré, the most enchanting man McGauran’s ever met. The lover he’s been praying for. The Witchin’ Canoe is a very unusual setting and definitely nothing like any other book I’ve read before. First of all, I have no idea how historically accurate this book is. I literally know nothing about Canada during this period in history. But it all seemed realistic, for what that’s worth. This book is about two very different people falling in love with each other. There’s Honoré, he’s rich, but lonely and possibly cursed or mentally ill or maybe he just doesn’t fit society’s expectations. He’s an intriguing young man and I liked him from the very start. Then there’s McGauran, who lives in the slums in desperate poverty. He’s lonely too, even though he has friends and a woman he’s expected to marry soon. He was also extremely likable. There are many minor characters showing up throughout the book, but no matter how short or unimportant their appearance, they all got a unique personality with actual depth. Not all of them were likable, but that made the cast all the more interesting. The poverty surrounding Mac was extremely well described. I could literally taste Mac’s desperation to somehow change his depressing surroundings. But with a sickly mother and no education to speak of, that’s not exactly easy. Likewise, the house Honoré lives in was easy to imagine. It was all very mysterious and also a little bit creepy at times. Just enough to give you a little thrill. The whole story had a gothic, mysterious feel to it that was very addicting and made it very hard to put down the book. There were only two things that bothered me. First, there’s the romance part of the story. While the relationship itself takes a while to develop, it’s essentially love at first sight for both of them. They barely even talk to each other during their first meeting and still they’re in love. There’s a huge societal gulf between these two and they seemingly had no trouble whatsoever to cross that, which seemed a bit idealistic to me. Then there was Mac’s mother. She can’t support herself and yet Mac plans to run off to the wild all on his own, seemingly without a care what that would mean for his mother. He’s such a responsible young man otherwise, so it just felt very much out of character for him. “The Witchin’ Canoe” is very high quality fiction, with a subtle creepiness. Some very mysterious things are going on here and it’s sometimes hard to tell reality from imagination. I enjoyed this book very much and look forward to more fascinating books by this author. The cover has all the important elements of the story and yet it still doesn’t quite do it justice. It just doesn’t look mysterious enough to me. This entry was posted in Book Reviews, Books, eBooks, LGBTQ Book Reviews, M/M Book Reviews, M/M Paranormal Fiction, M/M Romance, M/M Supernatural Fiction, Uncategorized and tagged A Free Dreamer recommended story, A Free Dreamer Review: The Witchin’ Canoe by Mel Bossa, author Mel Bossa, The Witchin’ Canoe by Mel Bossa. Derek O’Reilly was never good at reality. After twenty years of adulthood, he’s disenchanted with his life but his husband, Chef Nick Lund, is still chasing success. Then a near-fatal motorcycle accident brings everything to a halt and opens a door to a time Derek thought he’d never experience again. As Derek sinks into a coma, his mind returns to the winter he first fell for Nick, the bad boy with arctic blue eyes. But in this coma-fantasy, Derek isn’t a helpless child anymore. No — this time, he’s older and making Nick Lund stutter and swoon for a change. While Derek slips away, Nick sits by him in the hospital, devastated. To pull his lover back from the land of dreams, he must say what he’s never said before. Derek has a choice — remain lost in his imagined world, or return to Nick in the here and now where forever truly exists. This was a really well written and creatively told story. I’m not going to get too much into the plot as I think the blurb does a good job of explaining the plot line. 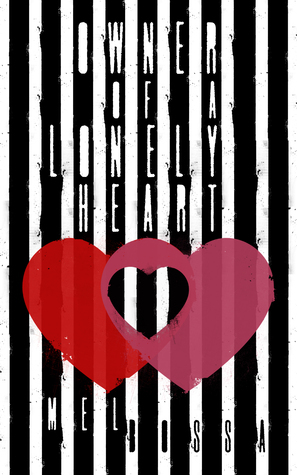 This story is angsty and shows that love is not always perfect. Sometimes you can love someone but there can still be issues and problems in the relationship. Things are complicated between these two men and the author does an excellent job taking the reading along on their journey. The author breaks the reader’s hearts a bit but she puts them back together by the end of the book and it’s well worth it. My only complaint has nothing to do with the book itself. This is a follow up book to the Split. This was not shown by the publisher in the ARC blurb and I thought this was a standalone. I was a bit annoyed when I realized it was not. Fortunately I already owned the first book so was able to go back and read it. I have looked at some other reviews of people who also had not read book one and they said they felt it worked fine as a standalone. There is no way I could do that (weird self imposed book rules). So be aware should you be interested in this story. Overall this was a very good read. It was very uniquely done and I enjoyed it a lot. It is a book I would definitely recommend. This entry was posted in Book Reviews, Books, Contemporary fiction, eBooks, LGBTQ Book Reviews, M/M Book Reviews, M/M Contemporary Fiction, M/M Fiction, M/M Paranormal Fiction, M/M Romance, Uncategorized and tagged A Purple Winter (Nick & Derek #4) by Mel Bossa, An Ali Review: A Purple Winter (Nick & Derek #4) by Mel Bossa, author Mel Bossa, established couple, JMS Books LLC. There was a lot going on in this story. Too much in my opinion. Declan is the main focus of the book but his brother Valens, his best friend and love Rhys, and their friend Felix all have major parts. In addition they all have major issues going on in their lives. There is domestic violence, allegations of misconduct at work, babies and bad guys trying to catch up to them to name a few. 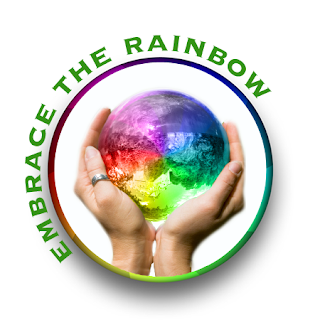 While I could have juggled those things in my mind what I struggled with was that all these things took the focus off of the relationships. Declan ends up in a polyamorous relationship with Rhys and Felix but I don’t really know how it happened. We don’t see any of their relationship talks on page and when you take such a serious topic I’m not going to buy it. There was literally almost no discussion about the complexities of the relationship. We never even know Felix and Rhys are friends or talk to each other and then all of a sudden they’re in love. I kept feeling like I had missed a scene and would find myself skipping back to see if I had. The techincal aspect of the writing was fine but the plot and the way it was told just really didn’t work for me at all. Cover: I liked this cover a lot. I’m not sure I’ve ever seen a primarily black and white cover before and I thought it was really eye catching. 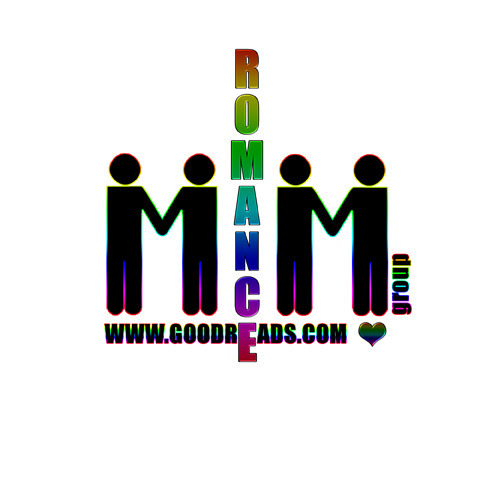 This entry was posted in Book Reviews, Books, Contemporary fiction, eBooks, Less Than Three Press, LGBTQ Book Reviews, M/M Book Reviews, M/M Contemporary Fiction, M/M Fiction, M/M Romance and tagged A Ali Review, Ali Review, An Ali Review: Owner of a Lonely Heart by Mel Bossa, author Mel Bossa, Owner of a Lonely Heart by Mel Bossa, polyamorous relationship. In 1934 Quebec, Joseph Vega has been locked up in Linhart Prison for three years for an assault committed on a man who’d been in process of robbing his mother’s home. He’s lost track of himself and nearly forgotten how to feel in the cold, dark place. When a beautiful ginger-head man named Christophe Dubois is led into his cell, Joe knows he’s in trouble. From the moment Joe lays eyes on the disowned son of an affluent politician, his life begins to change. Christophe is spoiled but also bold, curious, and feisty, and his presence opens up feelings that Joe has tried to bury and deny down for years. Eventually, Joe can’t resist the temptation of climbing into the man’s bunk. But he’s not the only one drawn by Dubois and soon Joe must fight to keep Christophe safe. Inside they were thrown together in a cruel and barren place, but is the flame that burns between Joe and Chris enough to keep them together when they are released from the confining walls and face an even tougher world? I have always been drawn to prison stories, and when I saw the cover and blurb this one called out to me. This one isn’t your typical prison story though, but a historical story with an interesting location and time period placing it during the Great Depression era during events leading up to World War II. Although much of the story takes place within the walls of Linhart, the plot touches on events both leading up to the two men’s incarceration and events after their release. Those inside the prison pretty much lived up to my ideas of what had to be, but I found myself struggling with Joe’s mother’s reactions after his release, but kept reminding myself of the timeframe and that it was to be expected even if disappointing. Both main characters were interesting and well-drawn. Watching Joe struggle to accept himself as his feelings for Chris emerged, as he slowly broke through the walls he’d built inside himself was the highlight of the story for me. I truly felt these two guy’s connection, their heat, and their pain. However, the story’s pacing was uneven for me. It was slow to engage me, taking until the eleven percent mark on my kindle for me to really get invested enough to have the story begin to carry me along. Beyond that, some parts held me captivated and had me turning pages late into the night while others seemed to drag. There were some editing errors and a few places where I was left a bit confused. Overall, this is a thought-provoking and touching story with some deeply poignant moments and an interesting setting and period. The cover is quite fitting for this story showing the prison, the hot guy and the barren landscape with trees below. 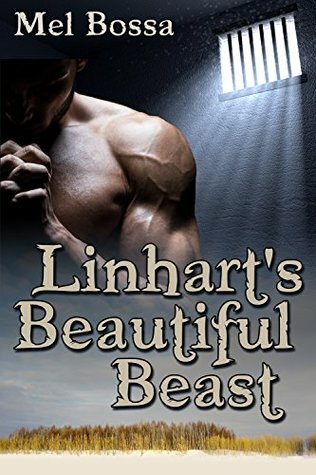 This entry was posted in Book Reviews, Books, Contemporary fiction, eBooks, LGBTQ Book Reviews, M/M Book Reviews, M/M Contemporary Fiction, M/M Fiction, M/M Romance, Uncategorized and tagged A BJ Review: Linhart's Beautiful Beast by Mel Bossa, author Mel Bossa, hurt/comfort, JMS Books LLC, Linhart's Beautiful Beast by Mel Bossa, M/M Prison romance.